Moscow. June 25 ,2018. INTERFAX. 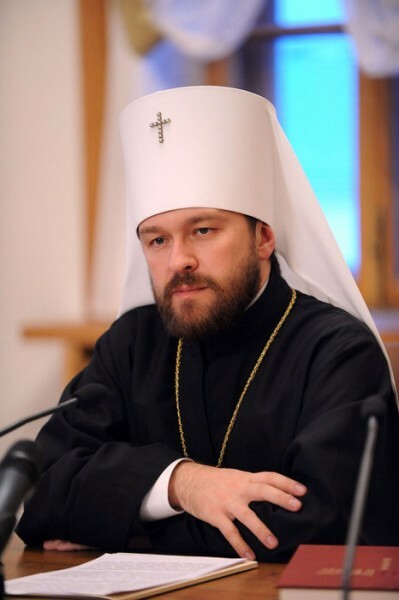 Metropolitan Hilarion of Volokolamsk, Head of the Moscow Patriarchate’s Department for External Church Relations, believes that in order to avoid conflicts, spouses should strive to change themselves, not their partners. “I think this is the reason for so many family conflicts and divorces: one of the spouses trying to change the other. The husband is trying to change his wife, and the wife is trying to change her husband, so they both are working on each other, but not on themselves,” said the metropolitan in the Parsuna program on the Spas TV channel. Metropolitan Hilarion believes that the only person one can change is oneself. In his opinion, everyone should realize this and ask himself or herself: what can I do to prevent divorce, to enjoy love and peace in my family, what can I do to accept another person for what he or she is? “I feel that if we looked at each other this way, families would be strong, there would be fewer divorces, and there would be fewer conflicts,” the Orthodox hierarch believes. According to Metropolitan Hilarion, the biggest mistake in relationships is attempting to prove something to the other person, even if he or she does not want to listen to it. “You think that there are some objective facts, and if another person comes to know these objective facts, he or she will be on your side. Yet the result is very often quite different; the more of these “objective” facts you give, the angrier the other person gets. He or she does not accept your point of view – quite the opposite,” the hierarch regretfully noted.